LYONS (May 5 11) – The Federal Housing Finance Agency recently released statistics showing that only three metropolitan areas in the U.S. with populations of at least one million have not had a decline in home values for the last 15 consecutive years. They are Oklahoma City, Pittsburgh and Rochester. Wayne County is within the Rochester metro area. The Rochester metro area experienced only modest gains during the “boom years” of real property values nationwide. Having a more stable real estate market has helped us now to get through the recent recession better than many other communities in the country. 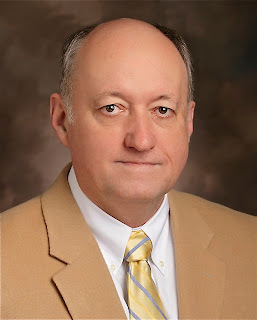 On April 19, the Board of Supervisors appointed Assistant County Attorney Dan Connors as the new County Attorney replacing Dan Wyner, who retires on June 29. On April 20, Supervisor Bob Kelsch, Executive Director of Wayne County IDA Peg Churchill and I attended a groundbreaking ceremony for the expansion of Optimax Systems, Inc. located in Beh Industrial Park in Ontario. Optimax President Mike Mandina and CEO Rick Plympton expect to add 50 additional jobs over the next two years. Optimax Systems Inc. is a world leader in precision optics manufacturing. Also present for the occasion were representatives from a Chinese technology firm - Shanghai Electronics Equipment – a customer of Optimax that is driving much of the need for expansion. On April 27, I attended the Greater Rochester Area Active Transportation Symposium in Rochester. This event consisted of a variety of presentations on the potential impact of “Active Transportation” (biking, walking and mass transit) on our communities in terms of health, safety, economic stability and infrastructure spending. Active Transportation will play a role in future transportation policy making at both the state and federal level. On April 29, Supervisor Ken Lauderdale and I, along with about 70 other people, attended a most enjoyable ribbon-cutting at the Huckleberry Swamp in Rose. Supervisor Lucinda Collier was away at a conference and was unable to attend. The occasion was a dedication of the first Forever Wild for Everyone Trail in the United States. To be a Forever Wild for Everyone Trail, criteria must be met for the trail to accommodate those with disabilities or a handicap. The event was jointly sponsored by Trail Works, Inc. and the Olga Fleisher Ornithological Foundation, Inc.
Coming soon - The Wayne County Soil and Water Conservation District will be promoting the awareness of water quality and the status of weed harvesting for the embayments and tributaries along Lake Ontario through the use of a Water Quality Hotline. The Water Quality Hotline will be a prerecorded message providing information only and will be available beginning Wednesday, June 1, 2011. The Hotline number is 315.759.3097. For additional information contact the District Office at 315.946.4136. A large portion of the former Wayne County Nursing Home has been renovated and is now named the Wayne County Public Safety Building. The following County Departments will be relocated from their present location to the Public Safety Building by the end of May: Sheriff’s Office, Emergency Management, Board of Elections, Probation, Veteran’s Service Agency, and the Fire Coordinator. The Information Technology (IT) department will have one room in the new facility for a disaster recovery facility, but IT operations will remain in the Village of Lyons. There will be an Open House of the Public Safety Building on Wednesday, June 8, 2011, from 5:00 until 8:00 p.m. Hope to see you there! 1 Comment to "Wayne County Supervisors -- Chairman's Report for May 2011"